Diaz and Sons Construction, a Diamond Certified company, is committed to helping you save time and money while delivering a quality finished job. Our clients appreciate our reliability, patience and how we communicate clearly on all our jobs. We pride ourselves on being timely and considerate while executing our work in an efficient manner. We always arrive ready to work and strive to deliver quality workmanship on every job. If you need handyman services in Santa Rosa or anywhere in Sonoma County, Diaz and Sons Construction can help. We are licensed, bonded and insured and always stand by our work. When it comes to maintenance or repair, we are Sonoma County’s choice for results. 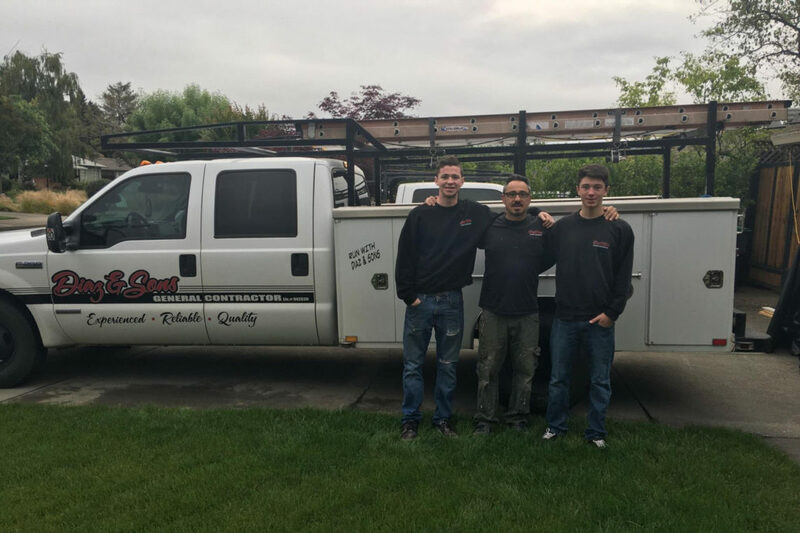 Being a Diamond Certified company means Diaz and Sons Construction has earned the prestigious Diamond Certified status and is rated Highest in Quality and Expertise in the Bay Area’s most accurate rating process of local companies. It also means every job we do is backed by the Diamond Certified Performance Guarantee. © 2019 Diaz and Sons Handyman Services. Theme by Anders Norén.